Justin’s note: Today, I’m sharing a valuable interview with one of the smartest guys I know, Strategic Investor editor E.B. Tucker. E.B. is constantly discovering the world’s biggest money-making opportunities… Before the mainstream media catches on. And he shares the best ways to profit from them with his readers. Most recently, he’s shown us the big opportunities in legal sports betting and America’s “new energy” metals. For today’s discussion, I wanted to get a look into how he manages his own money… and what he expects this year to bring. Justin Spittler: Hi E.B., thanks for joining me. Today, I want to talk about investment strategies. Could you tell us how you manage your own money? E.B. Tucker: Sure. I like to break up my investments into “buckets.” I have about five of them. I have one for gold, one for permanent life insurance, one for real estate, and two for stocks. I don’t limit myself to a certain number of buckets. But I’ve had very good results looking at asset allocation this way. J.S. : Can you tell us a little more about your “buckets?” Why do you break them up this way? What kind of assets go into each? E.B. : First of all, the buckets change with life and market conditions. During that period, I bought six single-family homes. I bought one of them for just $10 per square foot. I spent another $10 per square foot fixing the place up, so I put about $20 per square foot all in. The guy before me paid $160 per square foot and ended up in foreclosure. He bought near the peak of the housing bubble. My timing was much better. Today, I’m not adding to my real estate bucket. There just aren’t that many great deals out there. This is key to how I invest. Rather than fight the market, I let it determine how I allocate my money. I do think the real estate market stalled and if I’m right I’ll be very excited about real estate in another year or two. Thanks to Trump’s New “Payout Plan,” you can collect up to $7,980 more this year. The New York Times is saying you can “enjoy a windfall under the plan,” but you must act quickly in order to get your hands on the next check. J.S. : Can you tell us about some of your other buckets? E.B. : Well, I have a bucket for gold. But I don’t view gold as an investment designed to make money. I see it as a key long-term asset. When gold is cheap, I pour money into this asset. I don’t think about this bucket often. I just get the gold, vault it, and move on. I’m not adding any more gold right now because the price looks like it’s taking off. The past five years while the gold price went nowhere was a great time to build a physical hoard. I also have a permanent life insurance bucket. Specifically, I own a couple dividend-paying life insurance policies. A lot of people consider these terrible investments, but that’s because they don’t understand them. You see, any extra money that I put in this bucket on top of the minimum annual premium grows 6% to 7% per year, tax free. If I don’t use the policy, over time I’ll have a fairly large amount of cash in that bucket that I spend, borrow from, or use to buy more life insurance. This bucket is important because I have dependents. If I die, they have the insurance money to supplement my estate. 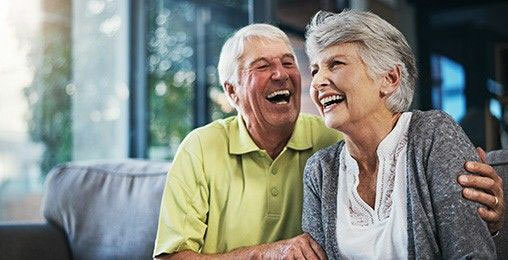 If I live, I can use the life insurance policies as estate-planning tools. My strategy in this realm contrasts with term life insurance which expires worthless and becomes very expensive to renew. J.S. : Interesting, it sounds like this bucket protects you and gives you flexibility. Now, I still have plenty of exposure to rising asset prices in other buckets. But if you’re smart about when and how much you add to each bucket, your “boring” buckets will eventually balance out your more speculative buckets. The result is a more stable financial situation without giving up the quest for profits. I like investing this way because I no longer worry about trying to maximize my profit on every trade or every time the market changes course. J.S. : Let’s talk about your stock buckets next. I’m sure our readers would love to know what’s in your portfolio. E.B. : Sure. As I said earlier, I have two of them. One is for stocks I plan to hold for the long haul. I don’t trade these stocks often. I’m only a seller if something happens that changes the business landscape for one of the companies. I typically own between six and eight of these companies at any given time. One of my favorite long-term holdings was a cracker and almond company called Snyder’s-Lance. I planned to never sell shares. That’s how much I liked the business. Unfortunately for me, a larger food conglomerate came in and bought the company at a premium. I booked a nice profit on the deal. The company that bought Snyder’s-Lance had a tough 2018 and now I picked up its stock on the lows. My guess is I’ll have that for years. The point here is these are real businesses, not hot potato trades. J.S. : What are some of your other long-term stock holdings? E.B. : I also have shares of one of the country’s best regional banks. I like the banking business when it comes to regionals. I’m less enthusiastic about local banks, which I think will struggle in the coming years before selling out or merging. I’m also not crazy about the big New York banks. I had shares of Starbucks for a few years – until I attended its annual meeting, which zapped my bullishness. These aren’t the most exciting investments in the world, but over time, you see the value of owning rock-solid American businesses. You end up with companies that slowly capture market share from their competitors, invest money back into their businesses, and pay dividends. I don’t see how you can get hurt having this bucket represent 20% of your net worth. It’s also worth mentioning that I like to own these stocks in company-sponsored dividend reinvestment plans. Since these are long-term investments, I don’t want to log into a brokerage account and see them next to my trading positions every day. Holding them directly on the company’s books means all my dividends get reinvested into additional shares, usually at no cost. The final benefit is I don’t have to worry about my broker going bust. Holding shares directly registered with a company means there’s nobody standing between you and your investment. J.S. : That leaves us with your speculation bucket. Can you tell us a little bit about this one? E.B. : Ah, my favorite. I’ve done fairly well speculating. The key here is separating good speculations from bad ones. As a professional investor, a lot of opportunities come across my desk. Most of them aren’t worth my time. You have to pass on a lot of bad speculations before you find a great one. J.S. : Can you tell us about one of your better speculations? E.B. : I got an email in the spring of 2017 from a friend offering me a few shares in a blockchain mining company trying to go public. Shares were very cheap, since this was still a private company. I knew a lot about bitcoin and how it works but truthfully I had no idea what this company was going to do. I also had no idea that my timing on the investment was as perfect as any I’ve ever made. I sold out of those shares during the bitcoin mania, booking a 15,000% gain on one of my sales. An overlooked part of profitable speculating is knowing when to sell. I put out a sell call on bitcoin four days before its all-time high in December 2017. I don’t think anyone listened to me. J.S. : Have you done any other speculations like this recently? E.B. : Yes. Before I got into this business, I ran a gold fund for a few years. My former business partner from that fund just took his gold streaming and royalty company public. I’m involved in that deal to the tune of over 1% of the company. Shares are up 300% from where we started and, while I’m biased, I expect they’ll continue to do well. J.S. : Most people would kill to make that much on a single investment. Why are you so optimistic? E.B. 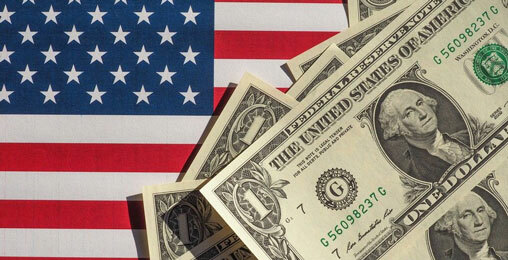 : I think it’s a good time to speculate on small gold and silver stocks. I especially like royalty and streaming companies like the one I just mentioned. They avoid the tremendous financial burdens that mining companies face. I made a big investment into a new royalty company last year focused on metals needed for electric vehicle batteries. The company is private but plans to go public later this year. I’m optimistic about my timing on that deal, too. It’s important to mention that when one of my speculations is a winner, I’ll take profits and put them into other buckets, depending on what looks good at the time. I almost never leave the entire profit in the bucket it came from. J.S. : Got it. Do you like to keep a certain percentage in each bucket at any given time? What rules, if any, do you follow? E.B. : I don’t. The reason why is speculative stocks only deserve a small percentage of my net worth. When they perform well, that small percentage grows tremendously. You have to keep an eye on what the overall market is up to. If you see rampant speculation, like I saw with bitcoin in December 2017, you might want to shrink the speculative bucket dramatically before the excitement fades and the market dries up. The same goes for the Florida real estate I bought in the 2009-2010 downturn. At the time, that was a big percentage of my net worth. Everything was cheap, if you recall. If I were rigid with percentages I might not have made that decision which turned into one of the most lucrative I’ve ever made. The one piece of advice most people don’t want is to recognize how important it is to sit on a lot of cash. This way, when opportunity shows up, you’re ready. When things get very cheap, most people don’t have cash. That’s why most people watch once-in-a-lifetime asset-buying opportunities come and go, only to say they wish they’d had the money. J.S. : What kinds of investments do you focus on in Strategic Investor? E.B. : That’s your most valuable question so far. 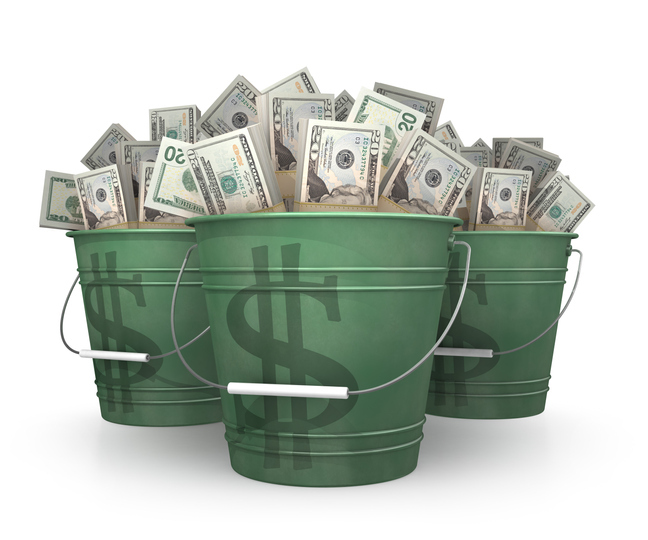 In Strategic Investor, we fill the long-term stock and speculative stock buckets. We’re out to beat the S&P 500 index, year in and year out. Now is a time where conventional wisdom favors buying the index and never thinking about it again. We want to beat the index and we tell readers exactly how we do it in the process. We want our readers to have enough market success to irritate their wealth manager. Hopefully, they can use that success and the lessons learned in Strategic Investor to beat the market in all of their asset buckets. J.S. : Thank you for your time, E.B. Justin’s note: With E.B.’s bucket system, you’ll be able to make your investments less fragile in 2019. You can even profit. But there’s a way for you to make even bigger returns in the months ahead… a little-known strategy you can use to generate gains 10x bigger than options. It’s a specific type of investment that Casey Research founder Doug Casey says is the source of most of his wealth. To take advantage of the current market setup, E.B. is currently working on his latest venture… and he’s going to share all the details on this new project with Doug later this month in a landmark event. All month, we’re going to be sharing E.B.’s top ideas and money-making opportunities so that you’re familiar with everything he sees coming… and you’ll be fully prepared for the big night. Perfect example of the fox guarding the hen house. Only this time it’s a pack of hyenas. Once again, Doug hits the nail on the head. Thank you! Davos is not “invitation only.” Almost anyone can be invited if you pay the price, which is not the case of the other clubs mentioned by Doug. Davos has no particular political bias except participants are all in leadership positions, and if you ask them, they prefer a world without borders! The Bilderberg group, the Trilateral Commission and the Council on Foreign Relations are very different. They have a closed membership and more political views of the world. Usually more global and more radical views. Sure, they seek a “one world government” but are closer to the leading United Nations perception of the world. The Bohemian Grove is the “country club” of the Bohemian Club of San Francisco. Still a totally different group with a closed, very restrictive membership, usually more conservative. Women are not allowed in the club except on some rare social occasions. “Social entrepreneurship,” “public-private partnerships,” and “stakeholders,” are not just trendy catchphrases. They are everyday reality for many global entrepreneurs. Even for social economists such as Jacques Attali (France) and his “positive economy,” for Jean-Claude Trichet, former European central banker, or for myself. If some people are simply looking for self-promotion in Davos, it’s not true of all global entrepreneurs. Some are sincerely looking for new solutions to new challenges. In North America, people such as Richard Branson (Virgin Atlantic group) or Peter Diamandis (Singularity University) are real trend-setters and thought-leaders. So are many people in Davos and elsewhere in similar circles. That’s what Bill Bonner says too and I’m quite sure Doug and Bill are both aware of the Pareto principle and, presumably, have played Monopoly once. There’s no money printing in Monopoly and the “bank” only serves as a safekeeper of undistributed (undiscovered) money (resources). Yet one or two players always end up accumulating all the money and properties. Even in a fully free, anarchist society, and even if each person started with “equal” physical resources, one would eventually expect a Pareto distribution (80-20) of wealth and, given a large enough population, 20% of the top 20% (4%) would own 96%, and so forth. Make sure to share your thoughts on Doug’s interview with us here: [email protected]. 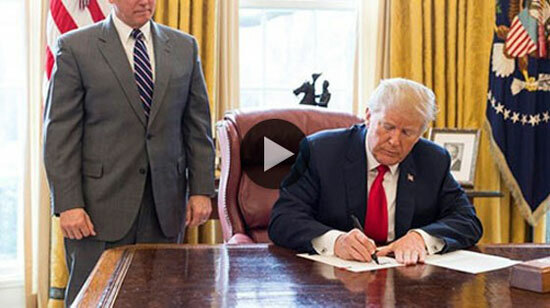 At the end of last year, President Trump signed a key piece of legislation that will kickstart a tiny market with huge potential.